Time to try this old fashioned, simple homemade mayonnaise recipe – just like the DH’s grandma and great grandma used to make. You know… with their fresh and distinctive flavors to dress favorite Pennsylvania Dutch style potato and chicken salads destined for their Saturday morning farmer’s market stall. Margaret’s chicken salad is still the talk of the town! I never imagined it would take this long to gather and review the many recipe clippings about a condiment. My husband’s family wrote down dozens of recipes for a condiment they used in great quantities. These days fresh, homemade mayonnaise takes very little time to prepare with the use of an immersion blender or a food processor. It is nothing more than a seasoned emulsion of oil, raw eggs and acids. While nearly all of us use it as a creamy dressing for potato, chicken, macaroni, egg and tuna salads, some of us slather it on our sandwich bread as a “must have” condiment for nearly every type of cold cut. In fact, I know someone who spreads it on more liberally than most and it has to be Hellman’s® mayonnaise. 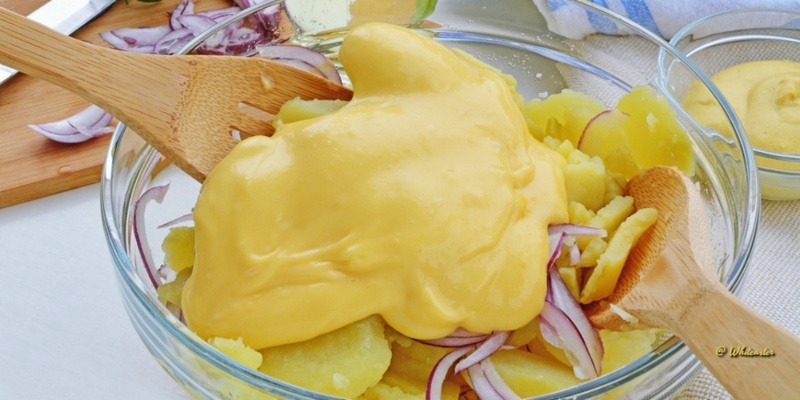 Admittedly, different brands have slightly different flavors but regardless of the brand, the taste and flavor of processed mayonnaise does not hold up to freshly made mayonnaise. No matter the name on the label – Krafts®, Miracle Whip®, Duke’s®, Hellman’s®, even the organic 365® – they are all supposedly “real”. I would hope so. When I make my own mayo, I know exactly what the ingredients are and I can pronounce the name of each and every one of them. The best feature of the creamy dressing we call “mayonnaise” is that it can may be varied in many ways. The addition of even the smallest amount of flavoring ingredients creates a sauce perfectly suited for everything from cold seasonal vegetables to fish and meats. Thought that might get your attention. How many of you eat tongue? We love Frierich’s beef tongue (veal tongue too) but I’m not about to alter the wonderful smoked flavor with the addition of mayo – pass the mustard for this sandwich. For now, forget the tongue and the mustard. Let’s focus on homemade mayonnaise recipes made the old fashioned way. They’re finger licking good! In fact, you may never want to reach for the jar once you’ve tried making mayo the way grandma made it. Every one in our family has their own unique way of making mayonnaise. My French cousin has assumed the mantle of Aïoli maker extraordinaire as he whisks it by hand, all the while regaling us with his latest adventures as a mariner. According to him, certain foods simply cannot be consumed without the addition of this “sauce”. Much to the dismay of the connoisseurs who insist it cannot and, more emphatically, will not “taste the same”, in my kitchen the mayonnaise is quick, painless, comes without a story… and we get to eat sooner. Let’s say that I have managed to impress them all with a variety of flavored homemade mayonnaises, sauces and dressings – including aïoli – all made with a food processor. On the Pennsylvania side of the family, the Farmers Market was held year around and featured Amish specialties as well as fresh produce and baked goods. The family maintained a prepared food stand with what you might call seasonal selections – pumpkin pies around Thanksgiving time, lemonade and fruit pies in the summer, and their locally famous chicken and potato salads. The following recipes for homemade cooked mayonnaise were specifically prepared for the salads. You can use a whole egg instead of just the egg yolks. If you substitute a whole egg for the egg yolks, all the other ingredients (other than the egg) should be doubled in quantity, since 1 whole egg will emulsify 2 cupfuls of oil. That’s a goodly quantity of the finished condiment. pleasing. They have less flavor than olive oil but are as nutritious. They are also less expensive to use than EVOO. And it goes without saying that you should never use rancid oil when setting out to make any salad dressing – including this one. Perfectly made mayonnaise dressing is thick and smooth. If thin and curdled, the oil has been added too quickly, in other words, it never had a chance to become emulsified. How can you fix this? Beat the yolk of an egg (yes, another egg – homemade mayo is quite rich and has that distinctive yellow color thanks to the addition of all those eggs) slightly, then add the dressing to it gradually, beating constantly. I make homemade tartar sauce for fish using capers instead of pickles. This particular recipe uses store bought dressing but the sauce tastes ten times better when the capers are added to the homemade egg-based dressing. So, let’s prepare some vintage, homemade mayonnaise recipes and dress up that potato salad…or the chicken salad for your next get together. Beat the eggs and sugar together until thick. Add the butter then add the vinegar. Cook in a double boiler until thick. 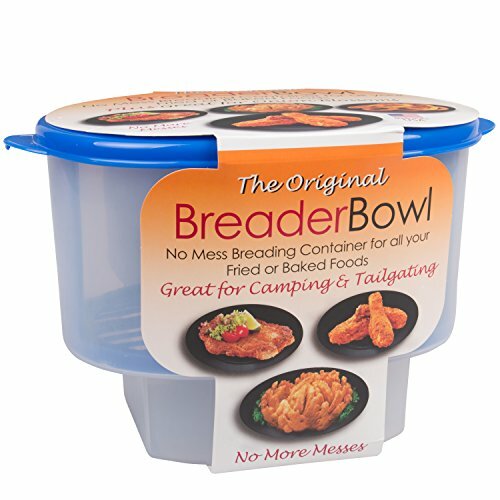 Cool in a bowl before putting in refrigerator. Put the egg yolk in a mixing bowl, add hot vinegar, and mix thoroughly. Add the lemon juice and the dry ingredients. Allow the mixture to stand until it has cooled. Using an egg beater and while beating, drizzle the oil into the egg mixture in small quantities, about 1/2 tablespoonful at a time. Continue beating, adding the oil in small amounts. When the mixture begins to thicken, the oil can be added in larger quantities but continue beating steadily. After all the oil is added, add the boiling water. Beat until the water is thoroughly blended into the egg mixture. Tip: The addition of boiling water to the mixture after the egg and oil have been blended, prevents the oil from separating from the other ingredients. And now for everyday homemade mayonnaise recipes to add to everything from cold mixed vegetables to egg or tuna salad or serve with meats and seafood. 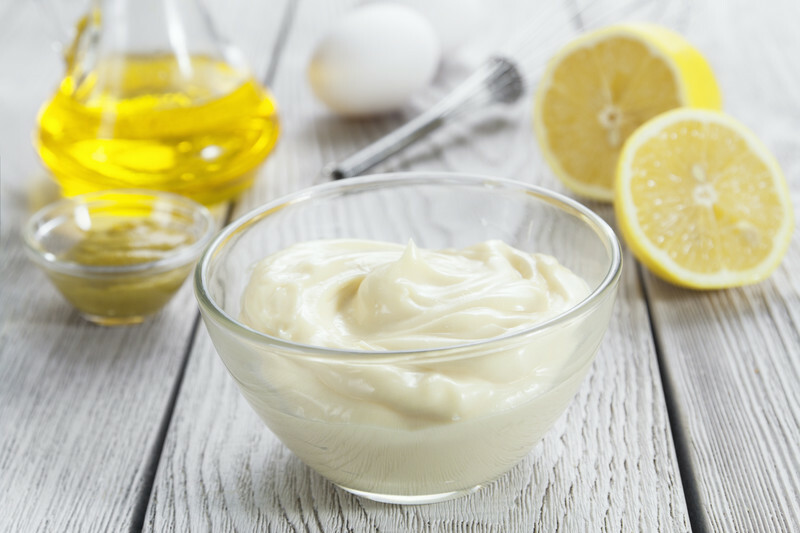 This recipe for a simple homemade mayonnaise is like a blank canvas for your add a variety of flavors, either by the use of flavor infused oils or different ingredients. Mix these ingredients with a wooden salad spoon until they take on a creamy white appearance; then add, drop by drop, 12 ounces of salad oil, stirring the mixture constantly; if it thickens too quickly, simply thin it with a little bit of lemon juice, until all is used. When the mayonnaise is almost done and towards the finish add gradually four tablespoonfuls of vinegar. Refrigerate until ready to use. In this video, Steve cheats and makes it super fast using a stick blender which most of us have in our kitchen cabinet and rarely use. Right? Come to think of it…where’s mine?